Hotly tipped Brooklyn indie-pop outfit Lucius will deliver their debut album unto the world on October 15 via Mom+Pop. 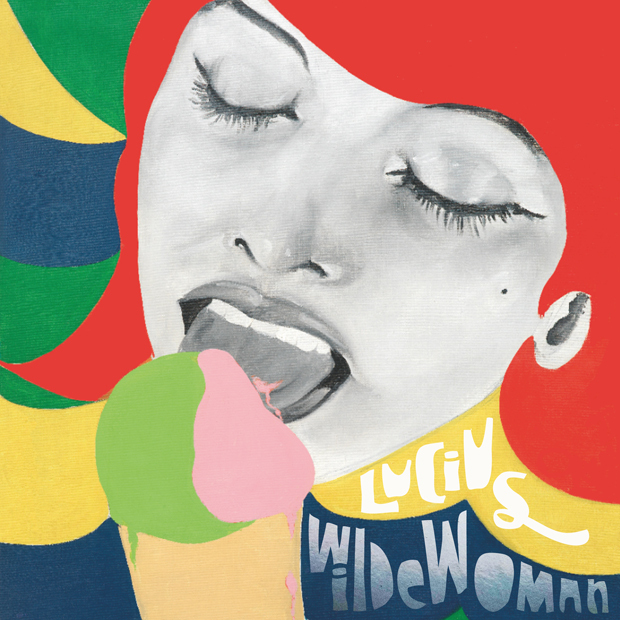 Wildewoman will feature 11 songs (and one brightly suggestive album cover, seen below) rife with the sort of substantial, ’60s-indebted shine to be found on “Turn It Around,” a cut found on last year’s self-titled, self-released EP. The five-piece band has a fully formed sound spearheaded by the intertwining vocals of Holly Laessig and Jess Wolfe, who can be heard simply owning brand new song “Hey, Doreen.” The soulful song is additionally powered by fuzzy guitar hits, soft organ tones, electronic effects, and reverberating keys, making for a very modern take on some classic ideas. Song, cover art, and track list below for your fizzy enjoyment.